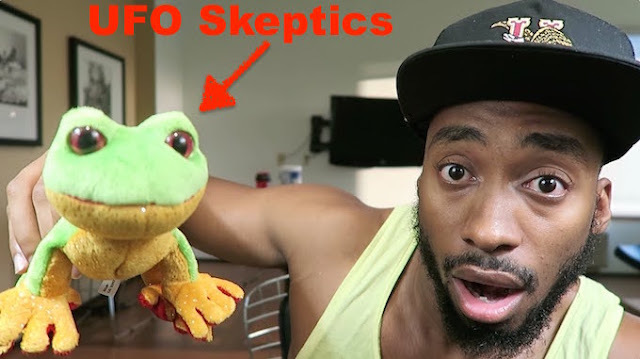 UFO SIGHTINGS DAILY: WHAT DO FROGS AND UFO SKEPTICS HAVE IN COMMON? Aug 2016, Video, UFO Sighting News. WHAT DO FROGS AND UFO SKEPTICS HAVE IN COMMON? Aug 2016, Video, UFO Sighting News. This is a cool video by Prince Ea of Youtube. I've been following him for years and he really gets it...the bigger picture. He can see beyond the now, beyond the walls around us...and so can you if you try. But then there are those UFO skeptics out there. Those that are no different than a frog in a well. The will never change. They will continue to fight us all the way. I got into this because I wanted to create order from all the chaos I saw in the UFO community, but what I wanted was a bit unrealistic to most, but very possible to me. I wanted to raise the level of awareness of humanity. I have already succeeded, and yet, I still continue, because it helps others around the world to learn about the truth. I have also inspired hundreds of others to make their own UFO sites. These sites are just awesome and I love that they did this. Only by sharing, can we raise the worlds awareness. Prince Ea...he is cool on many levels.